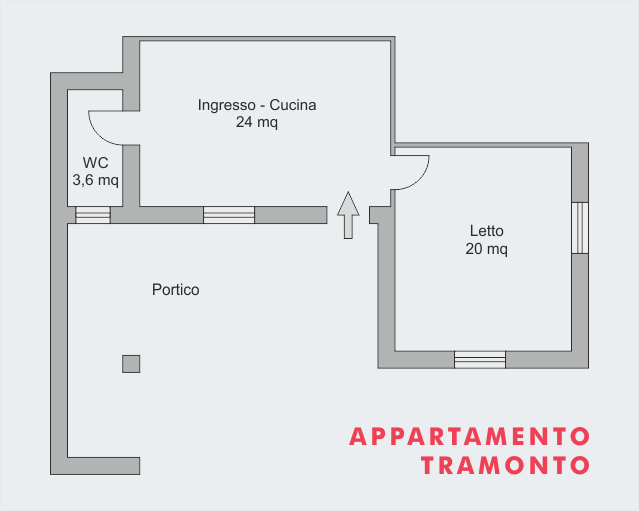 Tramonto Flat is on the ground floor, placed in the south-west position. Wide garden equipped with umbrella, sun beds, table and chairs. The flat, recently restored, is furnished with all comforts. The entrance is a wide porch with table and chairs and provides a pleasant space for your outdoor breakfast, lunch or dinner. The wide kitchen is equipped with double sofa bed, crockery, cooking utensils, built-in washing machine and linen. Bedroom furnished with double bed and two single beds. Bathroom with XL shower. Bed and bathroom linen included (weekly change on request).